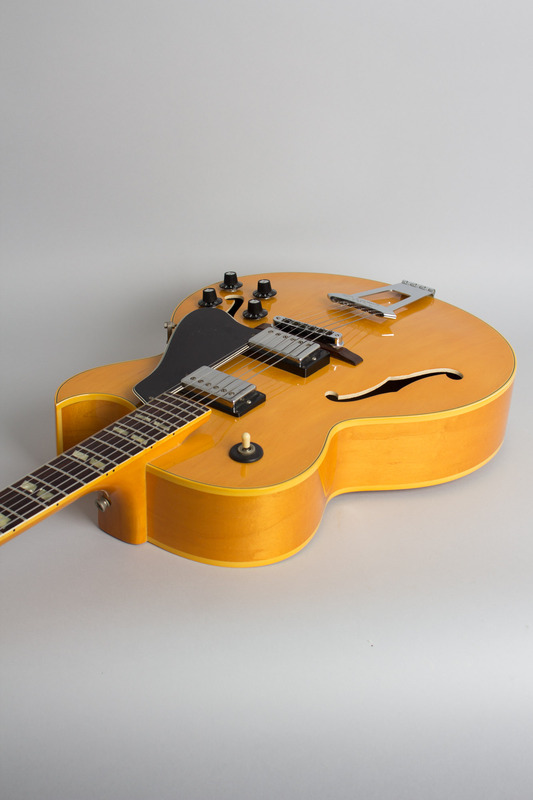 Gibson ES-175D Model Arch Top Hollow Body Electric Guitar (1979), made in Kalamazoo, Michigan, serial # 72489109, natural lacquer finish, laminated maple body and neck, rosewood fingerboard, black tolex hard shell case. 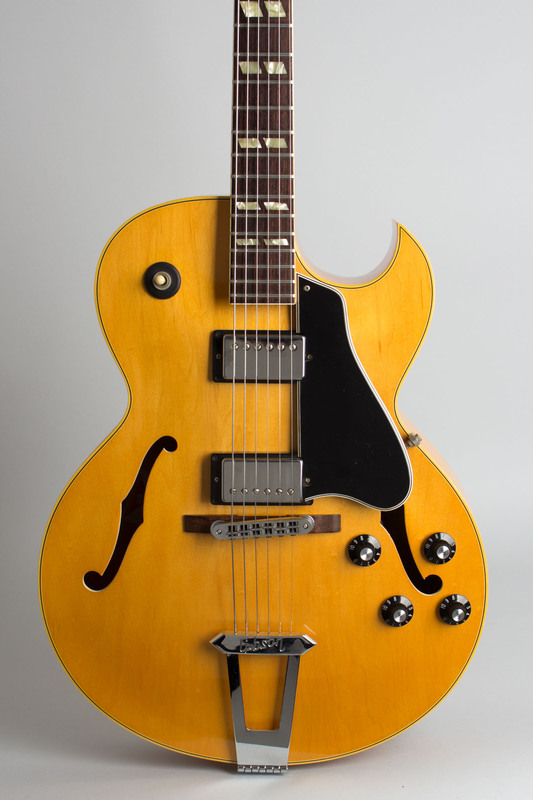 This is a very clean example of a 1979 ES-175 D, Gibson's perennial "working man's" electric archtop. 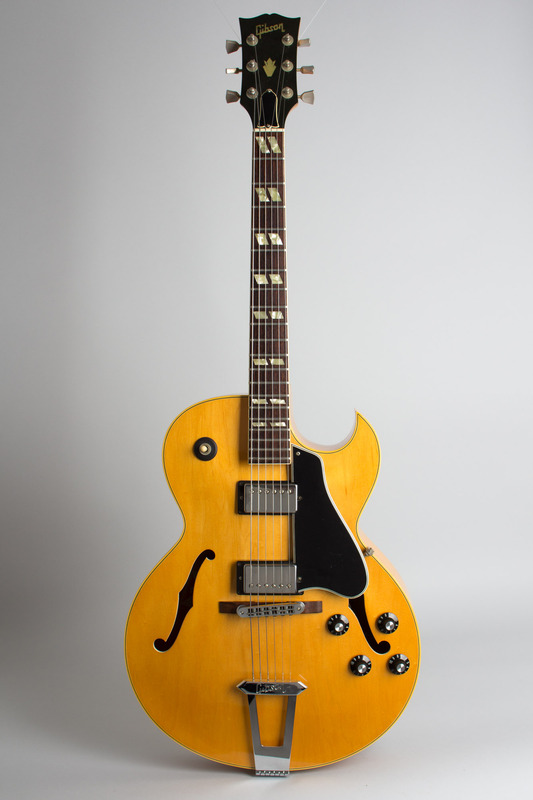 This natural blonde beauty has typical late '70s features and is from the fairly short-lived era when Gibson used a laminated maple neck on these instruments instead of the traditional mahogany. This results in a sturdier instrument with a just slightly brighter sound. Otherwise, this classic design is little changed from the late 1950s. 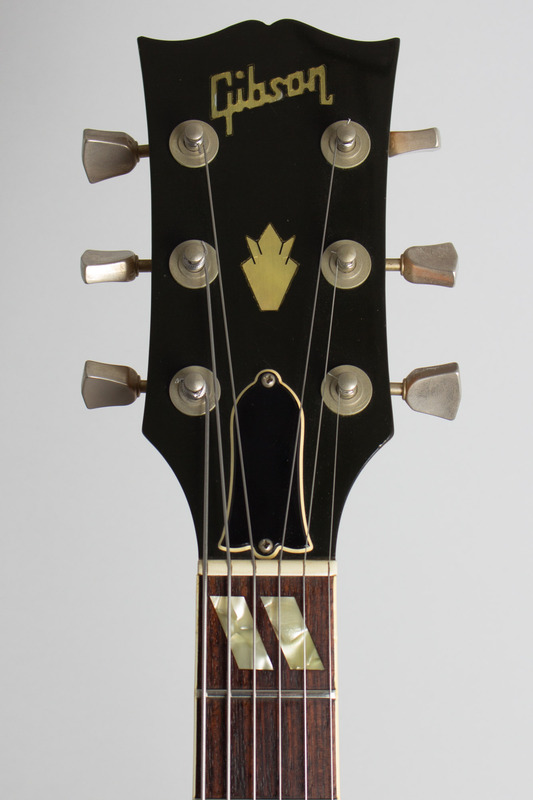 The only oddity on this one is a tailpiece engraved "Gibson" on the cross bar instead of the usually seen trapezoid design. An excellent player; still a great gigging jazz guitar and superb all-around electric. Overall length is 41 1/2 in. (105.4 cm. ), 16 in. (40.6 cm.) wide at lower bout, and 3 1/4 in. (8.2 cm.) in depth, measured at side of rim. Scale length is 24 3/4 in. (629 mm.). Width of nut is 1 11/16 in. (43 mm.). 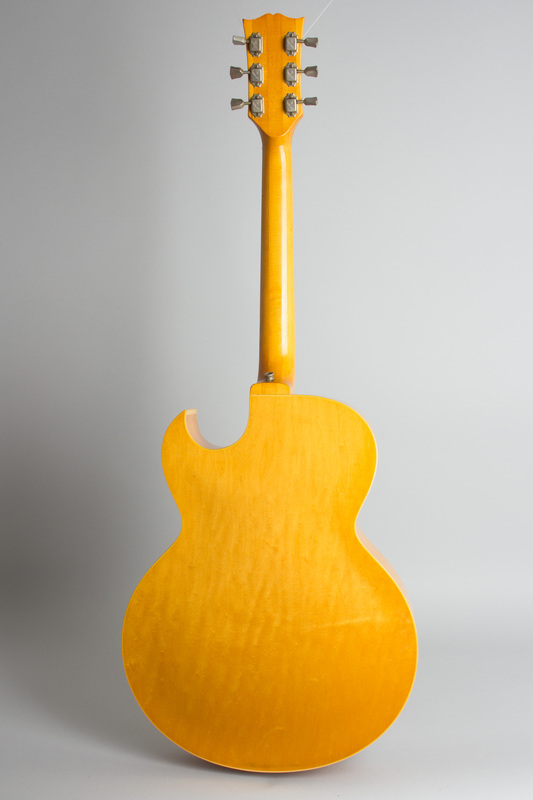 This is a very clean example, and appears only lightly played since new. 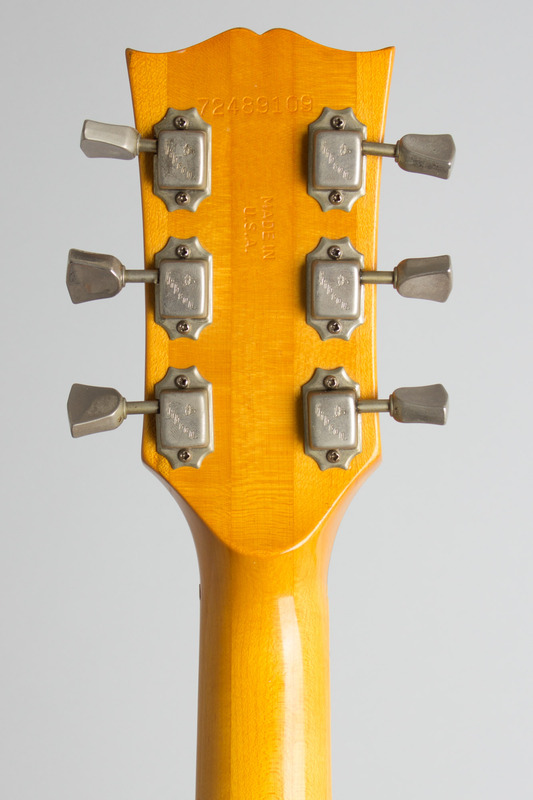 A strap button has been added to the heel, the pots have been changed (the originals are in the case), and possibly the "Gibson" logo tailpiece is not original. 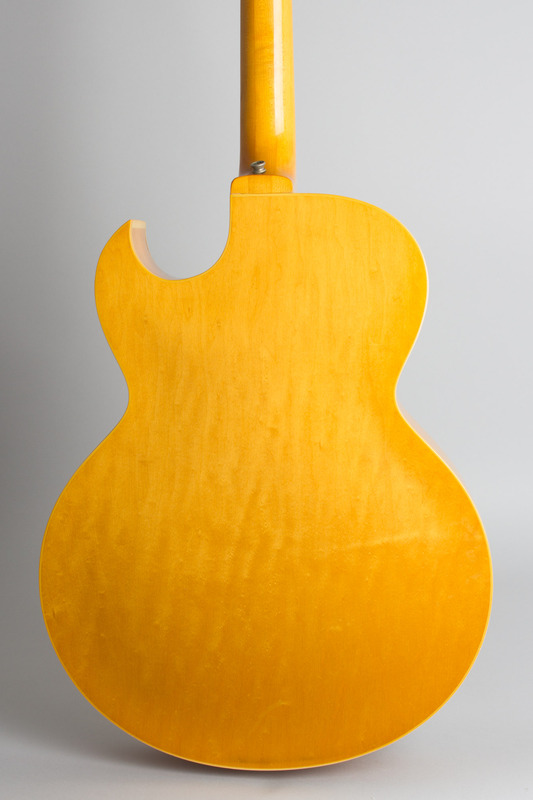 The frets are crowned somewhat flatter than Gibson spec. 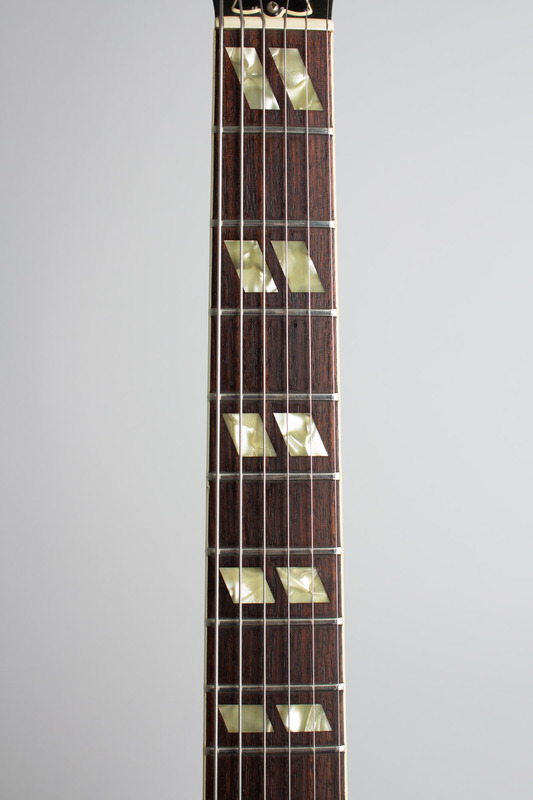 in oft-seen '80s style but the guitar remains a fine player, still in the original black HSC. Excellent + Condition.